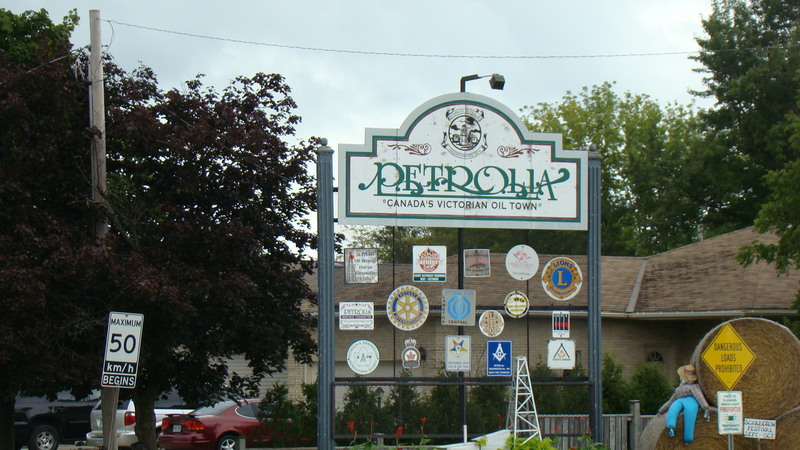 My impression online of Petrolia was a lot different than when I entered the town. It is not as spread out as I thought and the main street is thick with buildings. Before I entered the town I stopped to get gasoline so if you are on the road you will be aware that they are two gas stations before entering this town. 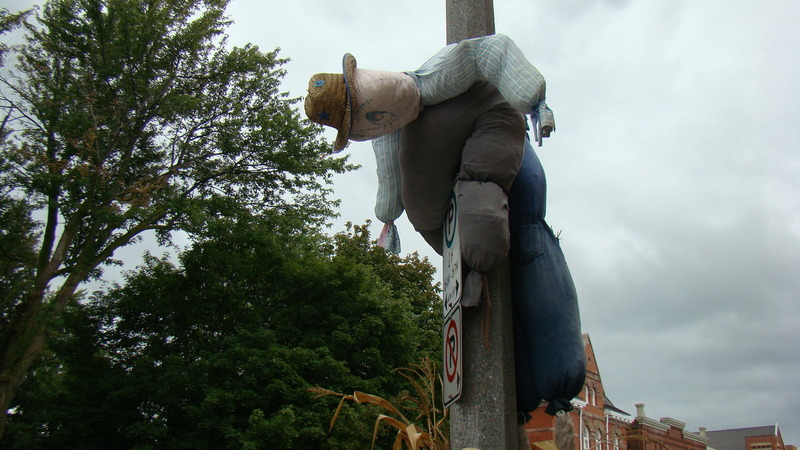 Someone had fun and decorated the lamp posts and park with…. Very nicely done…Love it! I am not ready for fall but there are also pumpkins everywhere! 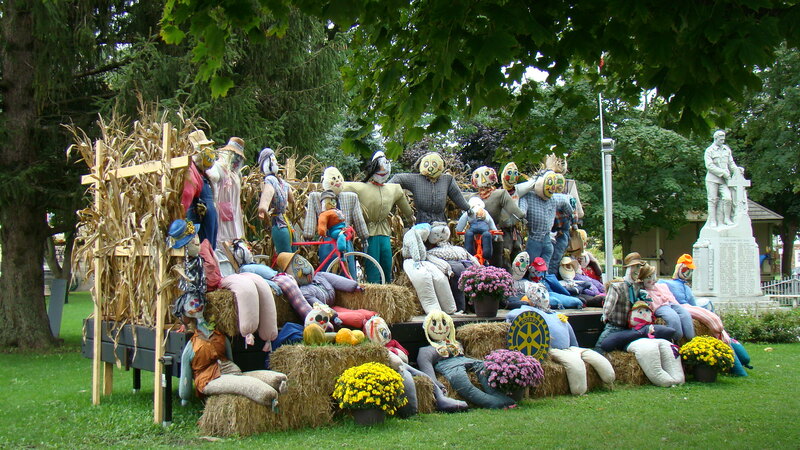 This entry was posted in Lambton Co., Petrolia Village, Trip to Ontario and Canada 2014 and tagged Fall preparations, Lambton County, Ontario, Petrolia on September 21, 2014 by BJ MacDonald. 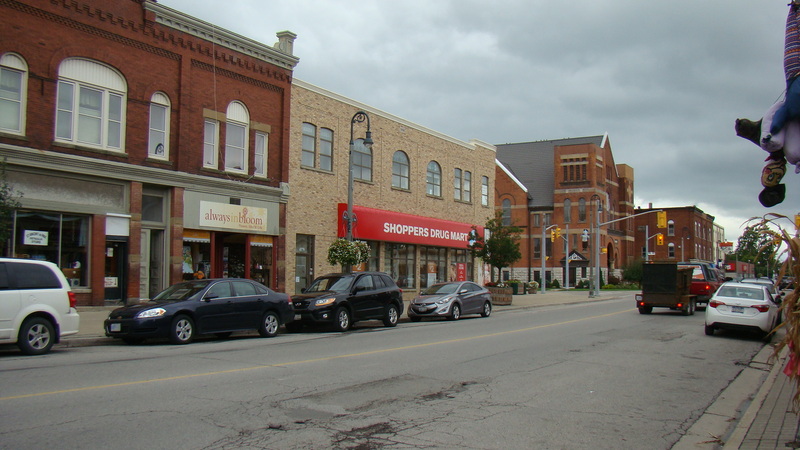 The marriage record found in the Lambton County, Ontario marriage books revealed that the parents of George Brown where George and Esther Brown. The witness Richard Brown is probably a brother. My next step was to review the census for both Canada and the United States to identify family members and start profiling this couple that are my 2nd great grandparents. Line 32, 131/134 Brown, George, w, m, 76, married, retired farmer, born Ireland, parents born in Ireland. Brown Easter, w, f, age 68, wife, married, keeping house, born in Ireland, parents born in Ireland. I knew there was Irish in my mother’s family but this is now the proof that it is true. The next was to dig deeper into the past and go to the 1870 U.S. Census, Michigan, Lapeer Co., Burnside, pg. 11, enumerated on the 19th of Sept 1870 by S.H. Brigg’s, PO Burnside. Line 31, 76/76 Brown, George, age 65, m, white, Farmer, $2200, $1000, born in Ireland, father and mother of foreign birth. Brown, Ester, age 56, female, white, keeping house, parents of foreign birth; Brown, Richard, age 24, male, white, works on farm, born Canada, parents of foreign birth; Brown, Isabella, age 18, female, white, without occupation, born Canada. Barnes, Ester M, age 21, female, white, boarding, born Canada; Barnes, Horace age 3, m, white at home, born Michigan; Barnes, Helena, age 1, female, white, at home, born Michigan. All parents of foreign birth. I found George and Esther (Ester) living in Burnside again and this time they have Richard and Isabella with them. There is an Ester Barnes who is probably a married daughter implying that she is widowed along with two of her children. 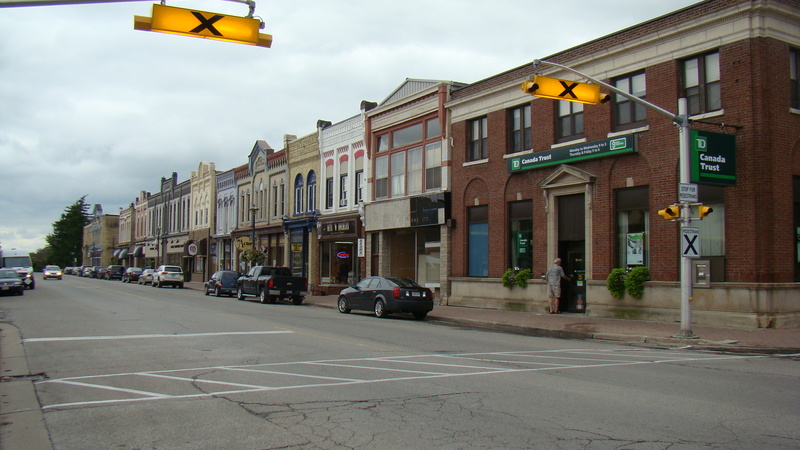 Going back even further into the past we consult the Canadian Census of 1861 and we find George and Esther in Plympton, Lambton Co., Ontario, on pg. 21. Isabell Brown, born Upper Canada, Church of Eng., age 10, female, attending school. Below George and Esther is another Brown listed who is probably another child of this couple who is old enough to be out on his own. Line 12, Jeremiah Brown (not Jesse), Farmer, born Upper Canada, Church of Eng., age 25 male, single, log house, single story. The family is starting to take shape. As usual spelling of names can be off and you have to use the census as a guide to point to other information. I am even more excited because I have found Richard’s family. Recently Peter Cunningham of the Cunningham’s of Sudbury, Ontario family tree posted at Ancestry.com website, a cousin, has introduced me to Robert Hayes another Brown cousin who has done a great deal of research on the family of George and Esther King. Both of these individuals are descendants of this couple. I am so happy to have found these two individuals. Robert’s information has made it very clear that this is the correct family. This entry was posted in BROWN Surname, Canada, George and Esther Brown, George King Brown and Maude Cecilia Hunt, Lambton Co., Michigan, Ontario, Petrolia Village, Richard and Emma (Ward) Brown and tagged George & Esther Brown, Lambton County, Ontario, Richard Brown on September 17, 2010 by BJ MacDonald. Richard Brown finds Emma Ward! It is time to return to the Brown family and explore their origins. I consulted a gazetteer and discovered there were several “Rawdon’s” in Canada, one in Hastings Co., Ontario and one Rawdon, Quebec. I decided to explore the Rawdon Twp. 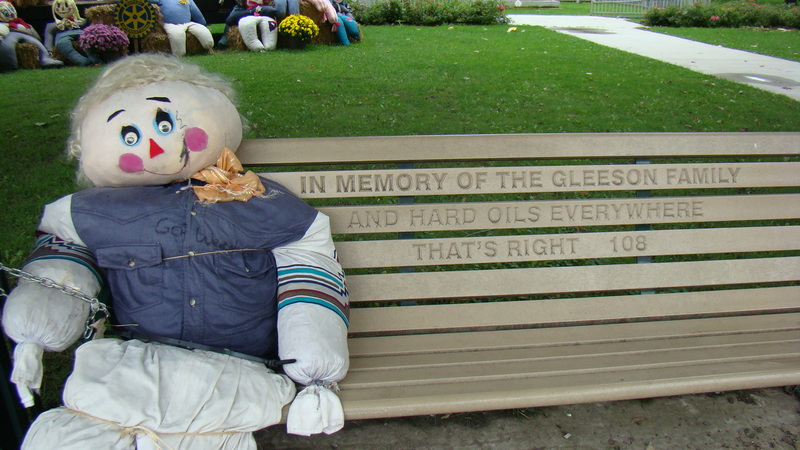 in Hastings Co., Ontario. 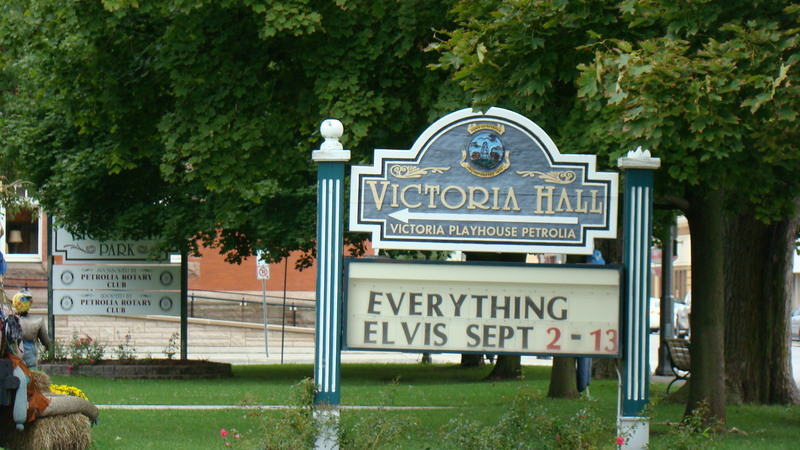 Ontario is a big province and I pondered how I was going to find him and Emma in that vast location. Well the internet has been getting better and better. Now that the Canadian census is online it makes it easy to do searches. All I needed was to find Richard near Emma in Ontario and I would be on my way. I used Ancestry.com and I found them in Lambton Co., Ontario in the 1871 Canadian census. Richard was there and so was an Emily Ward. Here is the index information. Ancestry.com does have the actual pages of the census. Index 1871: Brown Richard 21, Ontario, Lambton, Petrolia Village. Index Detail: Ward, Emily, age 21, born Ontario, Religion Church of England, Anglican, Origin English, Occupation Servant, District Lambton 004, Petrolia Village, Div. 1, pg. 22, Film # C-9895, Ref. RG31 Statistics Canada. FHL#349137 pg. 22 Emily Ward pt. 1, pg. 36 Pt. 2 Richard Brown. Took two photos of the actual pages. These two people were about the right age. The name on this census is Emily and not Emma. I have seen the use of both names for her. I was very excited. Vol. 6, pg. 19 George BROWN, 26, r. Wyoming, b. Hastings Co. Canada, bachelor, conveyancer, Episcopal, s/o George and Esther BROWN, married Maude Cecilia HUNT, 18, r. Wyoming, b. St. Thomas Canada, spinster, Episcopal, d/o Hiram Howley & Eliza HUNT. Wit. Miss Brown, Oil Springs & Richd. BROWN Plympton 31 Jan 1870, Wyoming, Rev. Wm. Brookman, license. Mr. George Brown was born in Hastings Co. and a Richard Brown was witnessing the marriage. Could they be brothers? Who was Miss Brown? I tried to find a marriage in Lambton County for Emily Ward and Richard Brown but there was no record listed in these Lambton County Marriages which cover 1869 to 1873. I need to get to the middle of the 1870’s to find their marriage. I was stuck. Here is the link to the FHL Catalog. These are in book form so you will have to figure out if you can find an archive or library that houses them using WorldCat. Otherwise you will have to visit the FHL in Salt Lake City or hire someone to study them for you at the FHL. I needed a little bit more information and to place Richard in a family group. I decided to check out Ancestry.com’s family trees to see if I could find anyone research this line. This online family tree supplied me with clues to figure out the parentage and siblings of Richard Brown. Apparently the Brown’s married into the Cunningham Family. This tree is available at Ancestry.com and you will have to access it either through a paid subscription or via the Ancestry library edition at your local library. I tried finding this tree on Rootsweb and Google but I was not getting a hit. I wish to give credit to the individual or individual’s work at this time and thank them for posting to Ancestry.com. With the information provided I will research Richard’s family and obtain documents to substantiate the information. I will also dig deeper into Emily/Emma Ward’s past. I believe I have found the parents and family of Richard Brown and as of March 2010 I now consider myself officially Irish! This entry was posted in BROWN Surname, George and Esther Brown, George King Brown and Maude Cecilia Hunt, Hastings Co., Lambton Co., Petrolia Village, Rawdon Twp., Richard and Emma (Ward) Brown, WARD Surname and tagged BROWN Surname, Lambton County, Ontario on July 27, 2010 by BJ MacDonald.